i was lucky enough to meet and photograph this lovely family earlier this week. they braved the super cold milwaukee weather and made it to the studio! click for more milwaukee family photography! 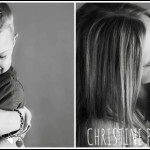 “like” us on facebook and be the first to know what’s new and exciting at christine plamann photography!